I picked this up off E Bay. 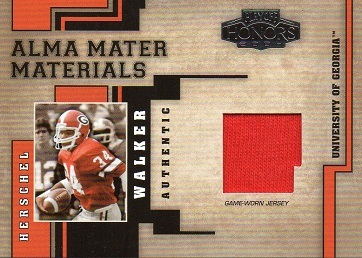 I now have 571 different Herschel Walker cards in my collection. I've uploaded them to the Trading Card Database, and am gunning for 600. The total of empty spots on there is over 800, but a lot are printing plates examples, which I'll never get.